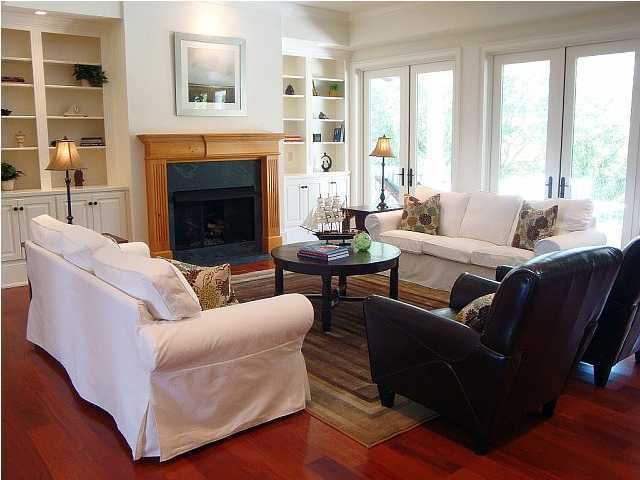 Plain white sofas, the chameleon of home staging. Home Stagers love their white sofas. They are clean, fresh and work nearly everywhere. With the right throw pillows and accompanying tables, art and accessories they become chameleons, blending nicely into traditional or contemporary spaces. Of course white works with nearly any color palette. Pops of greens and blues always feel fresh on them. Dark wooden tables, compliment them nicely, while wicker or upholstered chairs can pull together nearly any room. The combination of black, with softer colors, like a butter yellow, can create a dramatic yet elegant combination as well. When needing large amounts of furniture, don’t be afraid to use multiple white sofas. 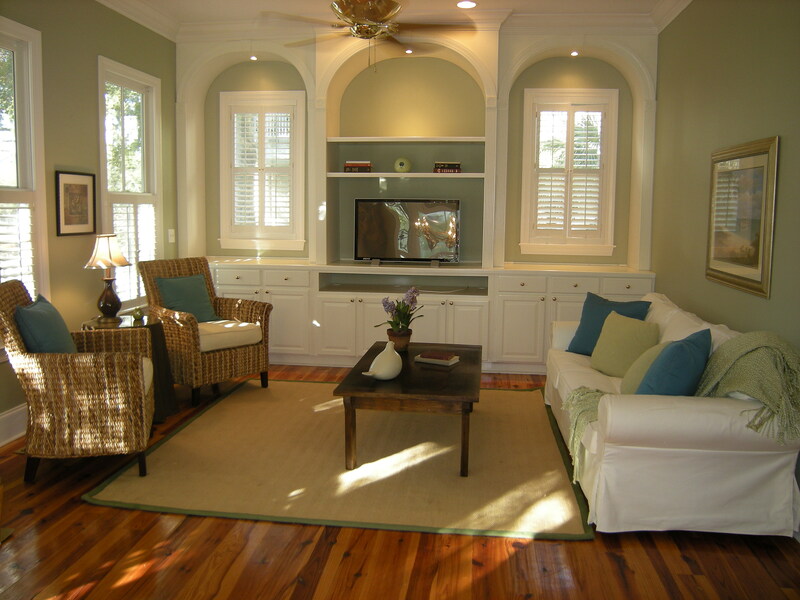 The look is easy on the eyes allowing you to take in more of the space. Again, paired with rich dark colors, like these dark brown leather club chairs, the look feels transitional, appealing to both traditional and contemporary tastes. Melissa, great examples of how white sofas can work wonders! Thanx for sharing! Thank you! We probably had a couple dozen white sofas, and they were always the first ones back out when they came in. 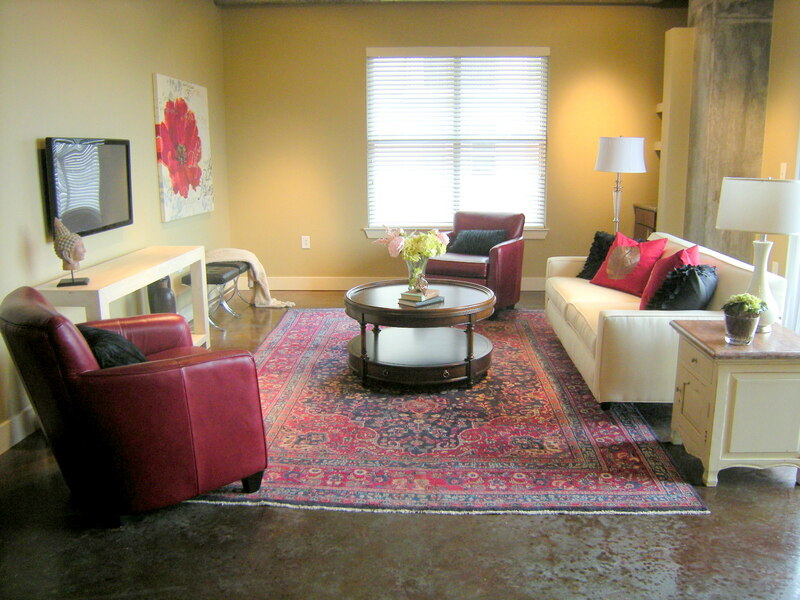 It just makes staging a beautiful room easy! Love a white sofa & that’s one of the first pieces of furniture I plan on buying for my inventory. Thanks for all the great tips you ‘re always sharing Melissa!